Technology in the kitchen can help you to take your cooking to the next level, as well as saving you time and making food prep a bit more interesting. So with that in mind, in the following post we’ve put together a list of essential items that we think every household should have in their kitchen. Gauging the freshness (or otherwise) of an egg is a notoriously difficult task. Th e protective outer shell of an egg is not only opaque but masks any tell-tale aromas. Although unreliable, the old fashioned way of crack-and-see is the only option we have available to us – until now. 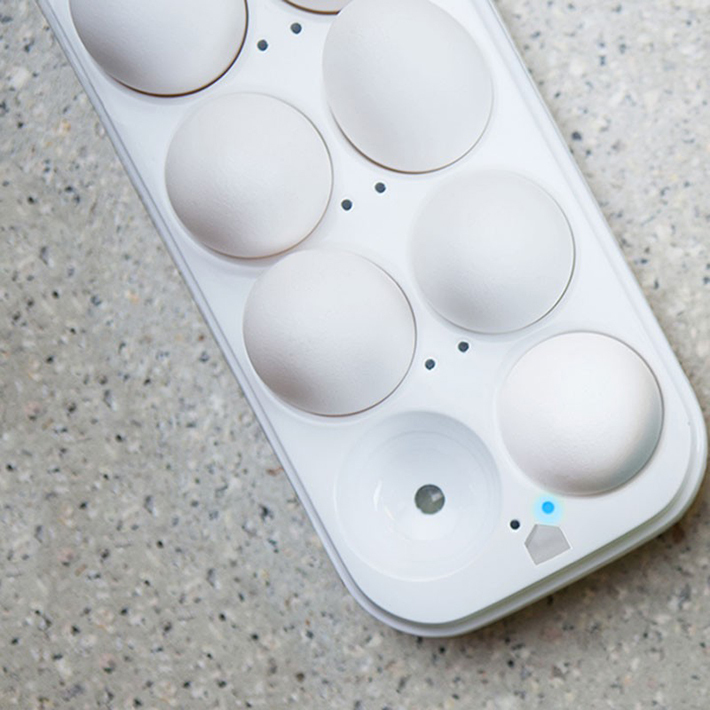 A smart egg carton, like the Egg Minder from Quirky, helps you to avoid getting egg on your face by letting you know the freshness of each one in your batch. The device can also be synced to your phone via Wi-Fi, allowing you to check remotely if you’re running low on eggs. For anyone who likes to know exactly what they’re eating, the Prep Pad is tailor-made for them. 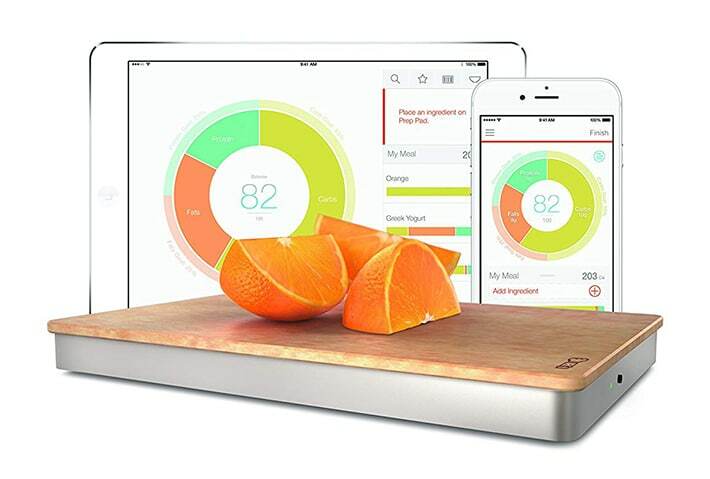 The interactive kitchen scale links to smart devices to provide you with a complete nutritional breakdown of the food you’re preparing – whether fresh or from a packet. This includes information on fat, calories, protein and vitamins. You can also set specific food orientated goals on the gadget, such as eating less sugar. Prep Pad will then let you know how your actual meal adds up against your desired food intake. Cleaning your cooker is rarely a barrel of laughs and normally requires no end of elbow grease. However, helping to make this arduous task a lot more manageable is a Fisher & Paykel self-cleaning oven. The ingenious ovens employ pyrolytic technology to break down food residue at a very high temperature. The end result is a thin layer of ash that can easily be wiped down with a cloth – much better than the layers of burnt on grime you’re normally left with. Few of us can resist the temptation of fried food, while at the same time understanding that it’s not exactly the healthiest option out there. An air fryer is a clever kitchen appliance that can achieve the classic crunch of fried food – known as the Maillard effect – without the potentially harmful side effects. Instead of requiring pools of grease to fry food, an air fryer works by covering food in a very thin layer of oil while circulating air that is heated up to 200 degrees Celsius. The process uses up to 80% less oil than traditional frying methods. Grilling normally requires umpteen checks before you’re satisfied that the food is finally ready – and even then it can be a bit of an inconsistent art. 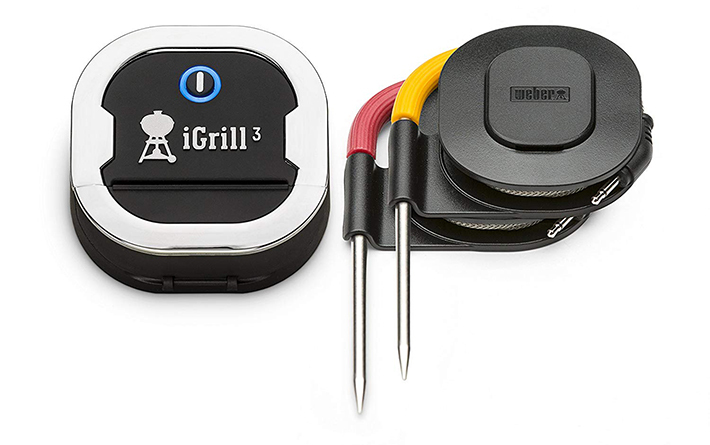 An iGrill thermometer, however, helps to ensure grilling success every time. The app connected thermometer features preset or customisable settings and temperature monitoring. You simply stick the thermometer in your food and when it’s cooked, it will let you know with a push notification via an accompanying app.